Make your own delicious and healthy anti-aging salad. This is the salad that Jennifer Aniston eats for lunch and she definitely looks a lot younger than she actually is. It took me less then 15 minutes to prepare it. Grill the chicken and the sliced paprika. Slice the avocado and cucumber. 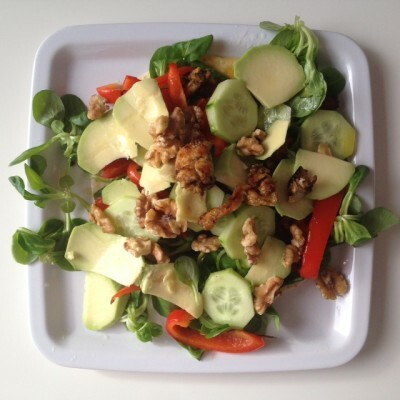 Make your own skin friendly dressing (see old post) and your anti-aging salad is ready, enjoy!